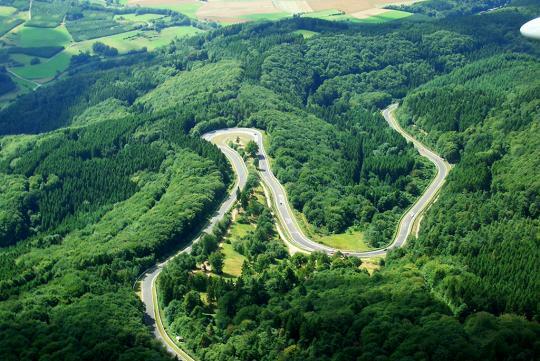 According to carscoops, the management group of the Nurburgring Nordschleife has banned car companies from attempting and publishing record lap times in the Green Hell and has since imposed speed limits and other restrictions in high-speed sectors of the circuit. The news was made known as Koenigsegg were about to film its One:1 was trying to set a lap time. Koenigsegg had already calculated that their car is able of undercutting the Porsche 918 Spyder's official 6 minutes and 57 seconds timing by more than 10 seconds but the ban means that the Swedish company must not be able to attempt it anytime soon. Fortunately, its seems like the ban will not be permanent one. The management says that the Nurburgring restrictions will be reviewed at the end of the year but until then, manufacturers are banned from attempting any sort of lap time. The last manufacturer who was able to set a lap time on the Ring was Lamborghini with their Aventandor SV, posting a sub-seven minute score. This obsession to beat the lap timing on the ring should stop. It's getting out of hand. Not everywhere has a Nurburgring and the suspensions of most cars do not have to be jarringly hard to go round corners. Car makers should instead focus on eliminating blind spots and improve the aspects on safety.